Our history plays a vital role in our everyday lives. It is a record of who, and what we are, and what came before us. Preserving our history establishes roots and community pride. Southwold and its People are featured in an exhibit with artifacts, images, and interpretive text, and digital interactive experiences at the Canadian Museum of History. 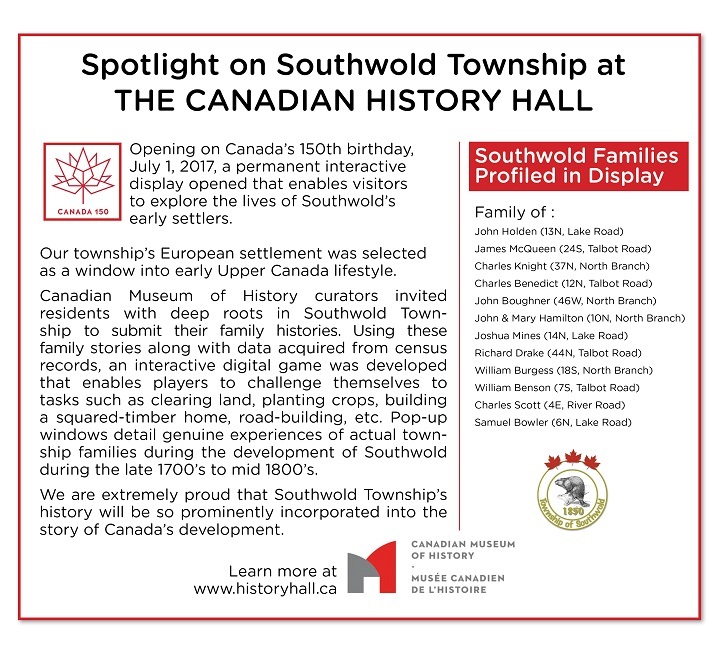 Take a look at our past, and you’ll see that we have an abundance of fascinating news from yesteryear, and you’ll discover plenty to brag about right here in Southwold Township. Share your own family history and bragging rights with us on Facebook too!